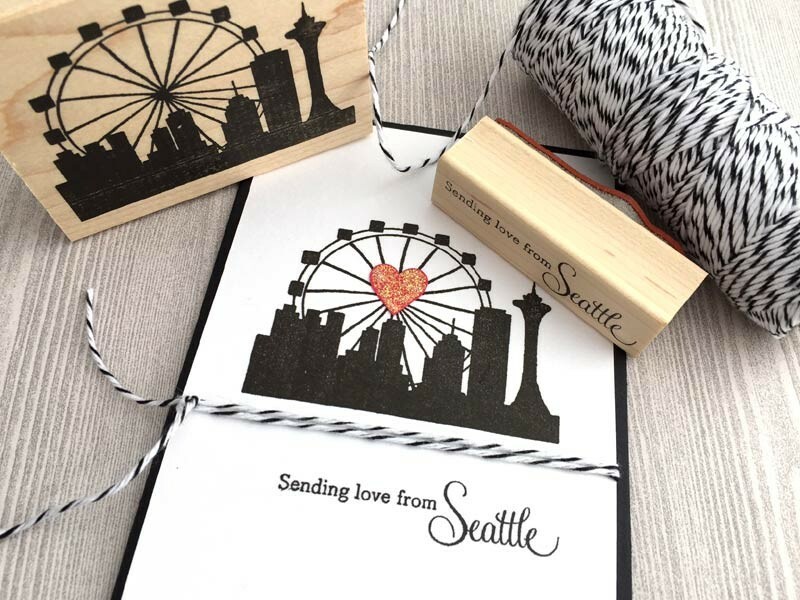 Add a punched out heart to Savvy's Seattle skyline and you have a Valentine card. Divine twine is added between the layers - a nice technique for holding the twine in place. Glitter glue was added to the heart to add that touch of sparkle.